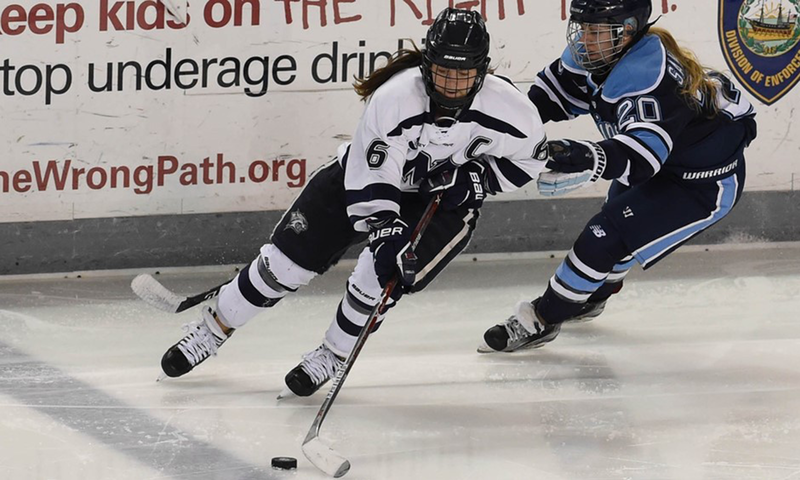 August 15, 2018 – Jonna Curtis, an outstanding forward from the University of New Hampshire who led the Wildcats in scoring in her junior and senior seasons, will be a member of the Minnesota Whitecaps in their inaugural season in the NWHL. At UNH between 2013-2017, the 5-3 forward scored 54 goals and added 52 assists for 106 points over 122 games. Curtis was a team-best 21-21-42 in 35 games as a senior and 16-17-33 in 36 games as a junior. She had 3 goals and 3 assists in a win over Maine on Jan. 21, 2017. A 2012 graduate of Elk River High School, Curtis set a school record with 280 points on 156 goals and 124 assists. She is also a former member of the Minnesota Junior Whitecaps U-19 team. “A big part of my decision to join is the fact that I get to be a part of an organization that will have a big impact on women’s hockey and inspire young girls. I’m so excited and happy to have the opportunity to play in the NWHL, especially on the Minnesota Whitecaps. “My goal this season is to be a player that everyone can depend on – from giving 100 percent every shift to supporting my teammates when I am on the bench. I’m going to get to play with so many great players and I’m excited to see how we all blend together to create a winning team. “There are so many people that I want to thank for helping me get this opportunity. The biggest of all is my dad. To everyone who I have ever played with and all of my coaches, I cannot thank you enough for helping me develop my game throughout the years.